India vs New Zealand: The live streaming and live cricket score of IND vs NZ 3rd T20 match will be available on Sony Six, Ten 3, Star Sports, and Hotstar. You can also watch live cricket match online on crictime, smartcric, dd national, ptv sports, and others. The 3-match twenty20 series stands tie with both the teams winning one game each. Today, it’s the third and final match. Whoever wins it will win the series. India need to win it continue their series winning momentum. While, NewZealand needs to win it to gain more confidence. Earlier, they closely lost the ODI series too against India last month. Munro helped the Kiwis to register a victory in the second T20 in Rajkot. He scored unbeaten 109 runs and helped New Zealand to pile up 196 for 2 wickets. While chasing, Rohit and Shikhar weren’t able to give the start required and Boult dimissed both of them. Then, MS Dhoni and Virat came and scored 49 off 37 and 65 off 42 balls respectively. However, the men-in-blue still fell short by 40 runs. 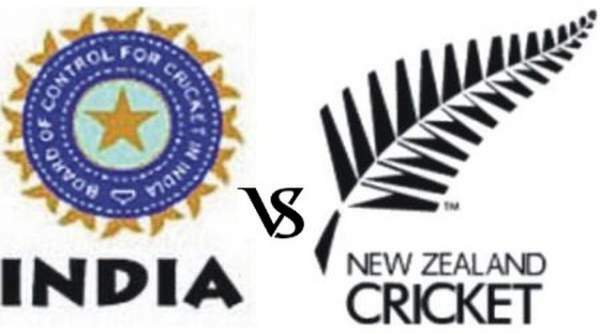 IND v NZ today’s match starts at 7 pm IST while toss will take place 15 minutes before that. It will be played at Green Field Stadium in Trivandrum. The Indian viewers can switch to Sony LIV tv channels. Others can also watch it on Sky Sports and local television channels. The weather forecast is to remain somewhat cloudy and some spells of rain can come into play. Irrespective of it, the series will be an interesting one to watch out for. To win, India need to focus on both the batting and bowling department. NewZealand need to keep up with the same momentum as of the second T20. India to win. Who do you think will win today?